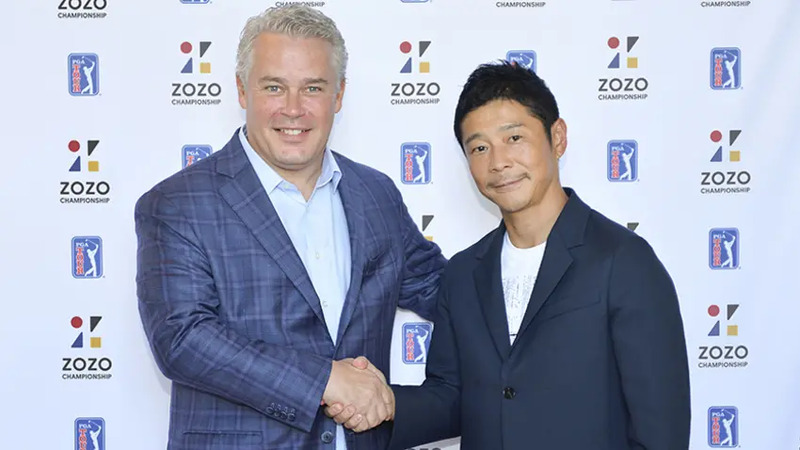 The popular shopping site ZOZOTOWN operated by ZOZO Inc. announced a title sponsorship agreement with the PGA TOUR, establishing Japan’s first annual PGA TOUR tournament planned in the fall of 2019. The 'ZOZO CHAMPIONSHIP' is scheduled from October 21st-27th of 2019, and the main competition will be held on the 24th, as one of the early events of the 2019-2020 PGA TOUR season. The planned venue for the tournament Narashino Country Club in Chiba prefecture. The prize money of $9.75 million dollars(approximately \1.1 billion yen) will be the highest in Japan’s golf history. Every year since 1993, the PGA TOUR has had at least one member from Japan on its membership roster, and there has been a total of 18 Japanese players who have held PGA TOUR membership to date. Currently, there are 2 Japanese players, Hideki Matsuyama and Satoshi Kodaira who are “PGA TOUR” members for the 2019-2020 season. By becoming the title sponsor of the very first PGA tournament in Japan, ZOZO hopes to encourage golfers in japan and the world by hosting an entirely new style of tournament that combines golf and fashion. Through the global broadcast of this PGA TOUR tournament to over 1 billion households in over 226 countries and territories, the hope is to globally promote the ZOZO brand, with plans to expand worldwide and build a new customer layer with golf fans. ZOZO, Inc. CEO, Yusaku Maezawa said "I’ve been inspired by golf as a player and as a fan for nearly 10 years now. Opportunities such as going on rounds with my 73 year old father, and practicing with my sons who are now in elementary school, all came from my love for golf. I am extremely grateful of this miracle of becoming a title sponsor of the historical and prestigious PGA TOUR for the very first Japan tournament, and to be able to hold this tournament in Chiba prefecture, where our roots are". PGA TOUR Executive Vice President, Ty Votaw said: "We are thrilled to have the opportunity to bring the first annual, official PGA TOUR event to Japan through our partnership with ZOZO, Inc. Japan’s passion for golf is widely recognized and something our stars have experienced first-hand through various events held here and the support of standout PGA TOUR players like champion Hideki Matsuyama. Today’s announcement further strengthens our presence in Asia and certainly comes at an opportune time with golf set to follow its highly successful return to the Olympics in Rio when Tokyo hosts the 2020 Games"